CBBC will be able to extend its broadcast hours from next year, despite the BBC Trust agreeing that the impact of the added hours is "likely to be minimal, appealing more to the smaller number of children who already watch children’s channels at this time." The BBC Executive wants to extend CBBC until 9pm, using broadcast capacity it currently shares with BBC Three. The BBC Trust said that the value of the proposal "is limited by the fact there is no additional programme budget, but it does provide a further opportunity to schedule distinctive and high - quality programmes at a time when children are more likely to watch." However critics point out that the oldest viewers in CBBC's target age group are among those most likely to be using online platforms for entertainment and that the BBC is effectively dumping these viewers from linear TV once they turn 12, with the BBC Trust agreeing in principle to moving BBC Three online. But the BBC Trust has said that BBC One and BBC Two will need to do more to appeal to younger audiences. 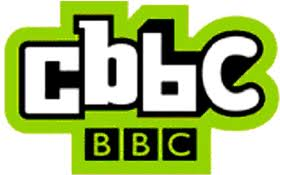 As a516digital reported earlier this year, the extension of CBBC to 9pm raises questions as to what would happen to the remaining ex-BBC Three bandwidth, which is timeshared with the children's channel. Current prosposals did not indicate what would happen to the ex-BBC Three bandwidth, which would be available from 9pm until the feed switches back to CBBC at around 5:30am ahead of its 7am start. The BBC Trust has responded to these concerns saying: "The Executive indicated in its application that it was considering a range of options for unutilised capacity following the closure of BBC Three and the extension of CBBC hours. We now require further information from the Executive on how the capacity could be used to secure public value."